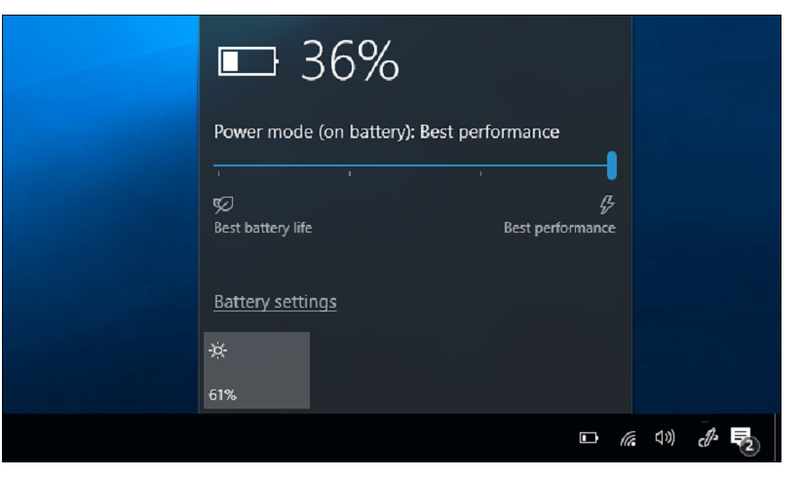 Now you can improve battery life on laptops and tablets by managing power throttling of applications in Windows 10 with latest Fall Creators Update. This feature is designed to boost battery life on portable PCs, so it’s not used on desktops or on laptops when they’re plugged in. It’s only used when a PC is running on battery power. To check which processes are power throttled on your Windows 10 machine, open up Task Manager. Click the “Details” tab to view a detailed list of the processes running on your machine. If you don’t see the tabs, click the “More details” option first. From the Details tabe, right-click the headings and click “Select Columns”. Scroll down through the list and enable the “Power Throttling” column. Click “OK” to save changes you made. Here you can see a Power Throttling column, which will give you information about each process’s power throttling state. 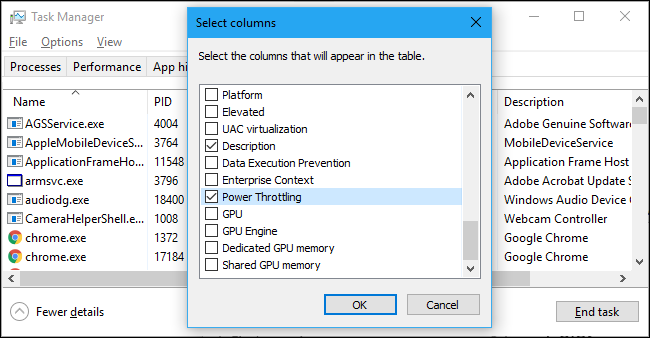 If Power Throttling is disabled on your machine—for example, if you’re on a desktop PC or laptop that’s plugged in—you’ll just see “Disabled” in this column for every application. 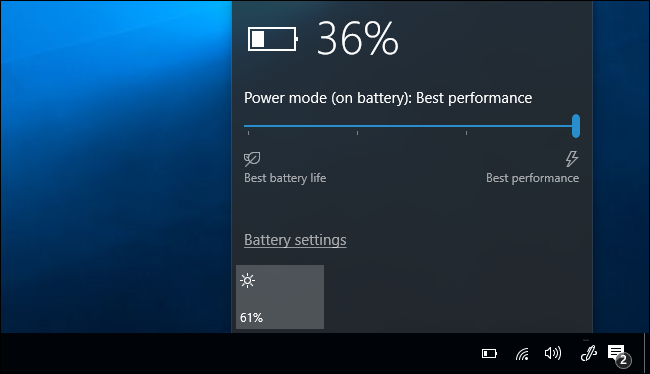 If you are on a portable PC running on battery, you’ll likely see some applications with power throttling “Enabled” and some applications with it “Disabled”. We observed this in action with Google Browser. When we had Google Browser minimized in the background, Windows set Power Throttling to “Enabled” for the chrome.exe processes. When we Alt+Tabbed back to Chrome and it was on our screen, Windows set Power Throttling to “Disabled” for it. If you want to disable power throttling on your system, just plug your portable PC into a power outlet. Power Throttling will always be disabled by default if the PC is plugged in. For instance, if you can’t plug in for the moment, you can click the battery icon in the notification area, also known as the system tray. Adjust the power slider to control Power Throttling and other power usage settings. You can also configure Windows 10 to disable Power Throttling for individual processes on your system. This is particularly useful if the auto-detection feature fails and you find Windows throttling important programs, or if a specific background process is important and you want it to get maximum CPU resources. 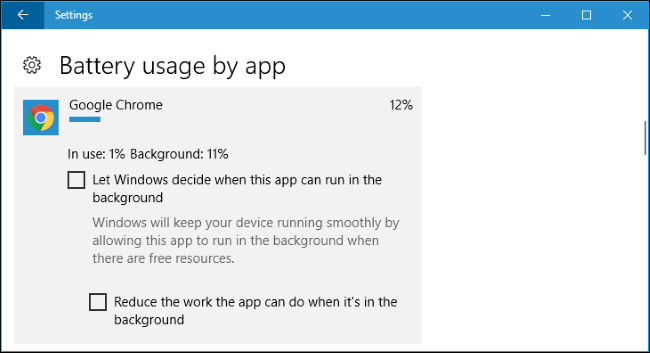 To disable Power Throttling for an application, navigate to Settings > System > Battery. Click “Battery Usage by App”.